We here at Midwest Beer Collective are proud to present our second Interbrew with the minds behind Mother’s Brewing Company in Springfield, Missouri. Fortunately for them, they have the experience to succeed and make a name for themselves in the craft beer world. Unfortunately for us, Mother’s won’t be selling beer for a few more months. 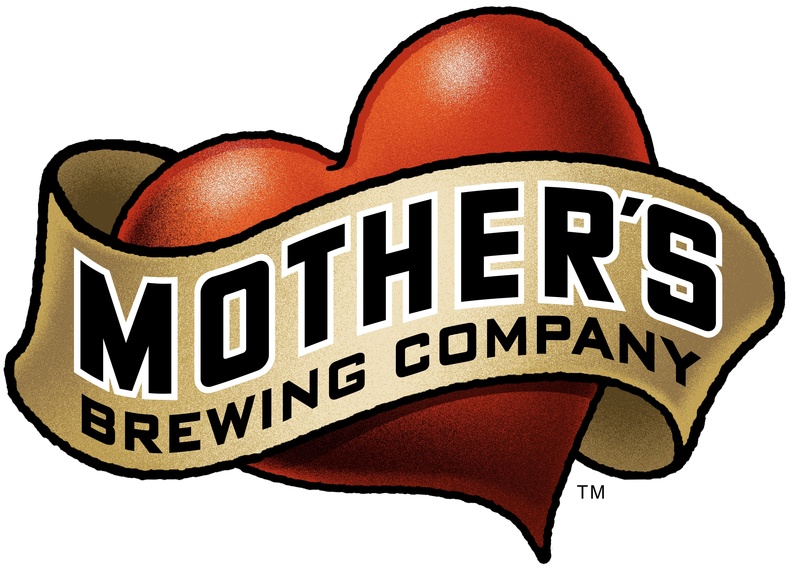 Mother’s is spearheaded by the trio of Brian Allen (brewmaster and guy with “background in the industry”), Jeff Schrag (owner and all around great guy) and Jeremy Wicks (sales and marketing, home brewer and beer lover). They all were nice enough to to answer some questions about getting the brewery started, and you can read the rest after the jump. BMA: I am a diploma graduate from the Siebel Institute of Technology and have 16 years of Brewery experience—8 years in Massachusetts 8 years in Wisconsin. I have also been a judge at the Great American Beer Fest since 1999. JVS: More than twenty years of owning and operating businesses, mainly publishing and real estate operations. JRW: Well, I’ve drank a lot of beer… I’ve also owned and operated a business and I’m a home brewer and total beer geek. All this has to count for something, right? What made you want to open a brewery? Why in Springfield? BMA: Every town needs a brewery. Springfield is my town. JVS: I have always been intrigued by the art of manufacturing alcohol, especially beer and wine. But some of the most interesting, like having a winery, would require me to work outside of Downtown Springfield. Then one day it hit me that I could brew the best beer in the world, right here in Downtown [Springfield]. That was the fall of 2008 and I have been working at it ever since. JRW: I had been living in Chicago for the last 6 years and, during that time; I really got to see how craft beer and local breweries could positively impact a community. Springfield is a great city, with a great downtown that is growing. I think this is perfect timing for the city and for Mother’s. What was the most difficult part about starting up Mother’s Brewing Company? BMA: Starting Mother’s Brewing Company. JVS: It is a business that is very dependent on the location. I know I looked at every building in Downtown Springfield. Truck access, expandability, synergy with other businesses: all very important. I finally found them all in our current location. JRW: I don’t really know where to go with this. There are so many moving parts day-in and day-out. At the end of the day, we are all doing this because this is what we want to do and we love what we’re doing so I just try to push through and do what I can do to make Mother’s great. How many recipes are you starting with? BMA: We will have 3 standard beers and shortly thereafter introduce our 4th, a summer seasonal. JRW: Three out of the gate with a fourth to follow very quickly. After that, we have plans and ideas for a few seasonals and a few pet one-offs. How much beer will you be producing in the spring? BMA: We will be making beer in 30 bbl [barrel] batches. JVS: As much as we can sell. Our capacity in year one will be 5,000 bbls. If I sell that much I will throw a huge party next Christmas with all the beer on me. JRW: As much beer as we can sell. We have the space and equipment to produce up to 5,000 bbls. Maybe I should just be optimistic and say 5,000 bbls… I guess the honest answer is we don’t really know. We’re confident and we have a great team in place and a great distributor so the skies the limits! What are your other passions in life? Do they influence your brewing? BMA: Cooking, ultimate frisbee, grilling, music, golf. I think about beers and how they go with food, what food ingredients can be used in beer and how beer can be used in food. Brewing always goes smoother with music—the energy from the music gets recycled into the beer. Sports are about teamwork and competition and there is nothing better than sharing some beers with friends after leaving it all out on the field. JVS: I love food, hence I like complex beers with many flavors. I love wine, hence I gravitate to higher alcohol brews. I love to read, so I love the story of the beer. JRW: Cooking, eating, music, golf, spending time with my family and friends. The art and love that I try to put into cooking is also what I believe is required to brew really great beer. It’s not just about the recipe or even the ingredients. It’s about putting the love for what you do and what you’re creating. I love the idea of creating something that others love, that they include in celebrations and that they share with others. Taking time to slow down while talking and enjoying life over a beer is, in my mind, what this is all about. BMA: Salman Rushdie’s Midnight’s Children. JRW: Laozi’s Tao Te Ching or Jack Kerouac’s On the Road. Your favorite beer right now? JVS: Our soon to be produced Malty offering. JRW: Damn, isn’t that like asking someone to choose their favorite child? If I’m picking something other than a Mother’s, I’d go with Three Floyd’s Dreadnaught or Founder’s Breakfast Stout. Need more? Follow us on Facebook and Twitter (@MidwestBeer). Any tips, questions or comments can be directed to mwbeercollective@gmail.com. You drew me right in with Every town needs a brewery! Springfield so needs this. Very excited! I am excited about having another brewery come to Springfield … in fact Mother’s is located just 2 blocks west of Springfield Brewing Company. Nice interview, with catchy quotes. But as a stickler for details I must note that Brian’s use of the singular noun “brewery” in his quote “every town needs a brewery” is misleading. Springfield currently has a brewery, Springfield Brewing Company, that has been open since 1997. I wish Mother’s the best!